On the Town, directed by the same team behind Singin' in the Rain (Kelly and Stanley Donen), is a lot like Take Me Out to the Ball Game (directed by Busby Berkeley)—Kelly, Frank Sinatra, and Betty Garrett are all in both—but On the Town is better partly because Kelly's love story is better. Yet the story is never the point in musicals. The real reasons On the Town is better than Ball Game (and not as good as Singin') are matters of songs and dance routines. In On the Town, Gabey (Kelly), Chip (Sinatra), and Ozzie (Jules Manshin) are Navy swabbies on 24-hour leave in New York City. They come running off the boat at 6 a.m. and spend much of the morning in a quick montage, seeing sights and chanting and hoofing to "New York, New York, it's a wonderful town. The Bronx is up and the Battery's down. The people ride in a hole in the ground." As the day goes by they meet girls of their (and our) dreams. First up is Hildy (Garrett), a lady cab driver with the hots for Chip. 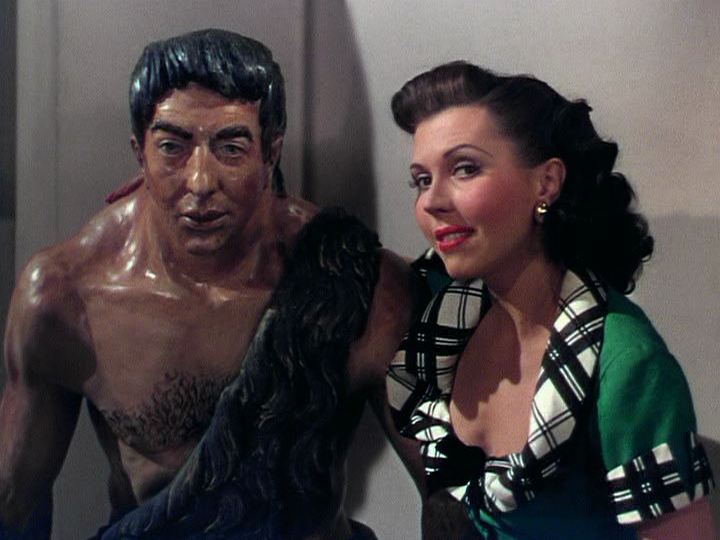 Then my favorite, Ann Miller as Claire, who digs Ozzie's caveman vibe. She's a scientist actually, an anthropologist, but that's out the window for the day, as she belts her numbers with a kind of Ethel Merman brass. Finally, for Gabey, there's Ivy Smith (Vera-Ellen), "Miss Turnstiles." The Gabey and Ivy story follows the usual playbook for romantic comedies—find girl, lose girl, get girl. There's even a fifth wheel, Hildy's roommate Lucy (Alice Pearce), whose character of all of them strays most into sad dated areas, where ugly girls become old maids and everyone feels sorry for them but no one wants anything to do with them. One of the highlights of On the Town is a kind of momentary revenge for Lucy (and Pearce) in my favorite number here, "Count on Me" (by Roger Edens, Adolph Green, and Betty Comden). In its corny musical way (with cowbell), it is an almost perfectly transcendent four minutes so let me narrate it a little as I unpack it myself (see it here). Full of cringing false high spirits and groaner puns ("as the adding machine once said, you can count on me," "as the dough told the pastry cook, I am all you need"), practically everyone except Kelly gets turns at the verses. 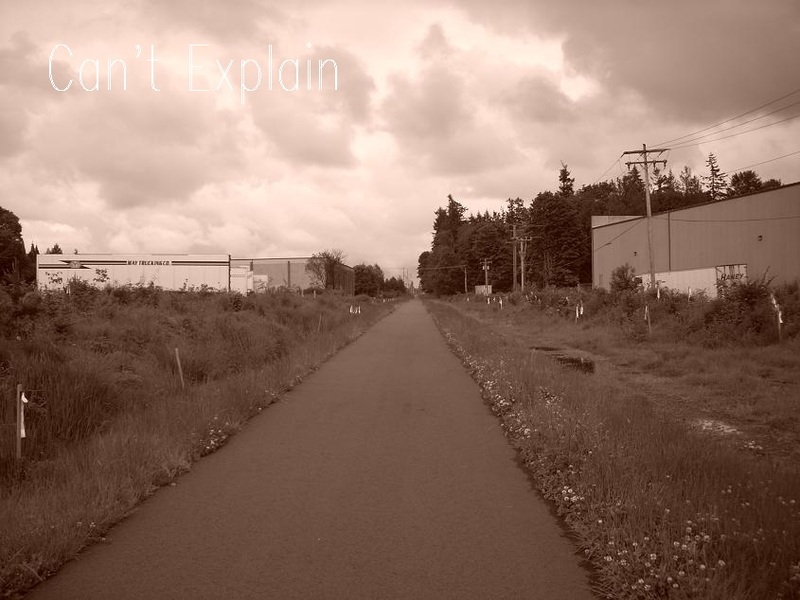 On the choruses and bridge they circle and prance around Gabey—the reason for this interlude is they're trying to cheer him up. "You can count on me," they sing to him. "I'll stick to you son, you can cling to me, you can milk me dry." Then, on a cow joke, it all suddenly erupts into yodeling. The song and dancing are reaching an inspired fever pitch. At this impossible height is where Lucy steps in to reclaim her dignity by utterly smashing it. Kelly plays it just right, a little hammy, and Lucy is at least temporarily made whole. Later, in the deep of the night, when Gabey is thrown into the despair of the lose-girl phase, of course Gene Kelly is going to inject a long showy balletic performance for the quality. Even here, however, the six or seven characters that populate On the Town are constant and that's one of the best parts of it. This cast is a bunch of troupers, and whatever narrative situation you throw at them they're going to find a way to turn it into singing and dancing. And when they do, it's going to make you giddy silly happy. It's about as far as I'm willing to go in terms of talking about movie magic. Movie magic being something more tangible in movies full of dancing sounds plausible. Now I want to binge on classic musicals; "somewhere over the rainbow"! Meanwhile, I'll puzzle over why musicals (like Hamilton, for instance) don't work so well as pop songs? Or why, w/ the vibrant history of movie musicals, MTV and music videos have always seemed like such a stunted useless form?